Hotels are often the most expensive part of any trip you may take. For your company, hotel expenses are also the hardest to control. Here’re ten tips you can use to save on hotel expenses when traveling for business or pleasure. these originations. For an AAA membership to pay for its self, you only need to stay six nights at one-hundred dollars per night. Be sure to check the AAA or AARP websites for special savings. If you don’t mind which hotel brand you stay at, then Priceline is a good place to save money, especially on last minute bookings. On one occasion I saved seventy percent on my room rate, but it’s very rare to save this amount. Priceline says you can save as much as sixty percent off hotel rooms. I’ve found the average to be around forty percent. Bear in mind, if you cancel your room booked through Priceline, you will not get a refund, unless you brought their trip insurance at the time of booking. Note: If you’re a member of a hotel loyalty program, you will not receive any reward points for stays booked through Priceline. Many large companies have specially negotiated rates with hotels close to them. If you’re visiting a large company, ask them if they have any special rates at local hotels. If they do, they will give you their corporate rate code. Some of these special rates can save you as much as thirty percent per night. 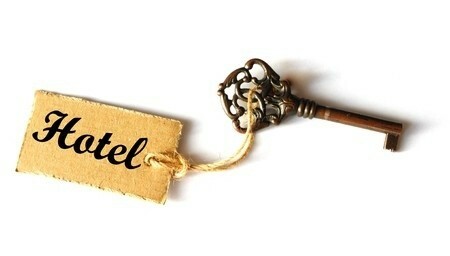 Be careful as some hotels may ask you for a corporate ID or business card when using a special rate code. You can also do a Google Search for hotel corporate rate codes. Again, be careful here. offer free breakfasts for their guests. In addition to the free breakfasts, these hotels offer other complimentary amenities such as Internet access, guest laundry, and parking just to mention a few. Many airline booking sites offer hotels at discounted rates when booked together with airfare. Again, if you don’t mind which hotel brand you stay at, the savings can be significant. You can also bundle car rental as well as the hotel with airfare for even more savings. But you need to be sure you’re making the trip and not cancel it, otherwise, it may be tough to get a refund for the booking. Tip: Check prices of hotels separately from airfare to make sure you are getting the best deal. I purchase hotel rooms in advance especially for one night stays I’m going to make. You can save as much at twenty percent on the room rate per night by paying in advance. Do check the hotels cancellation policy on these rates as very often they are non-refundable. If you’re uncertain, spend a little extra and book a refundable rate. Most AAA and AARP rates are fully refundable up until 6 pm on the day of arrival. Sometimes these rates are the same price as advanced purchase rates, so it’s always best to check before you book. Booking.com I use a lot. What’s nice with Booking.com is you can use filters to drill down your search by amenities, distance, location, property type, and star rating. Then they’ll show you the room prices of each hotel on different booking websites. If you have limited budgets you can set a filter for this too. To add to this, they have a guest rating filter. I usually set this to seven or higher as well as setting my budget amount. This way I’m sure I’m getting the best possible deal on a room. One word of caution, read the reviews before booking your hotel room. I do this very often too. When I go to New York City, I stay the other side of the Hudson in Jersey City and take the subway train into and out of New York. I’ve saved as much as one-hundred dollars per night with this little trick. If you don’t mind taking public transportation in the major cities or driving in smaller ones, this trick can save you a lot of money. I find it’s fun to riding the subway train. It’s a different experience and makes a nice change. This trick works in most major cities, but you do need to do some geographical research beforehand so you can determine the time, distance, and costs of using public transportation. The savings can be significant and the experience much better than staying downtown. Not only do I stay at Airbnb’s, but I’ve also written and give advice about using them here on my blog. Airbnb makes a change from staying in a hotel. If you spend a little time researching the area you plan on staying in; you can save a lot of money with Airbnb’s over traditional hotel stays. As with Kayak, you do need to read the reviews before booking. Be aware of the Airbnb booking fees and cleaning fees. It’s because of these charges I don’t recommend staying at Airbnb’s for less than three nights. I’ve never had a bad experience staying at Airbnb’s, but please do read my blog post and follow my advice. If you must stay in a resort area, call the hotel before booking a room and check the resort fees. Despite the number of legal challenges to resort fees, none of the legal challenges have come to fruition. The hotel can charge whatever resort fees they want, and they don’t have to advertise, or advise you of the resort fees at the time of booking. It’s always best to call the hotel ahead of time to verify any resort fees they may have. Take note of the fees and the first and last name of the person you spoke to at the hotel. If the charges are different, you have a name of the person at the hotel you originally talked too about the fees giving you a little more power in arguing your case. By spending a little time in front of your computer and planning, you can save a lot of money with one or more of the above tips. Hotel room prices are increasing faster than airfares and car rentals. According to U.S. Business Traveler, hotel room rates are projected to increase year-over-year by 6.5% to 7.5%. It’s up to us, the traveling public to force prices down by finding ways to save. Hello Sarah, thank you for reading my article. I checked the link you left and saw it’s for a bed and breakfast. I’m working on an article on B & B’s as an alternative to hotels. Thank you for leaving a comment and happy travels. It’s amazing that you saved $100 a night by staying outside the city. My sister’s wedding is near the beach, and my husband and I want to go out early for a vacation, but we don’t want to spend too much on hotel accommodations. If we make sure not to be too close to a big city, maybe the rates will be lower.